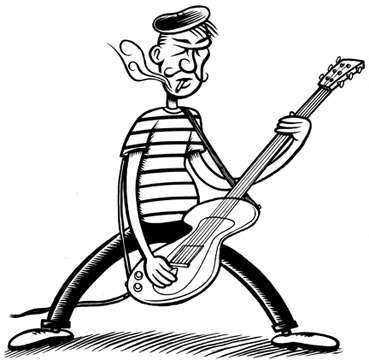 Commissioned by Everett True's British music mag, PLAN-B, to accompany a music review that I was given no information about, including the music or the review itself, other than it was about "French Nouveau Rock", whatever that is. I took the easy way out. Centered nicely on 11.5" x 13" bristol board, the image itself is about 8 inches square.